I’ve always been creative. For years I made my living as a Folk Artist and was fortunate enough to have a decent amount of success at it. 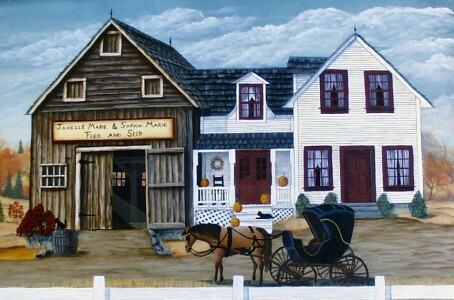 I painted under the pseudonym Grammy Mouse and my images appeared on greeting cards and in home décor prints like the one below called New England Retreat. I painted custom house portraits like this one I did for a family in Connecticut. I don’t paint for a living any more but still enjoy being creative. My asthma and COPD react to the acrylic paint fumes and when I use my medications for these conditions, my hand shakes. So I am creatively caught in a catch-22. I still have some good days for painting and I cherish those. I need that creativity in my life. 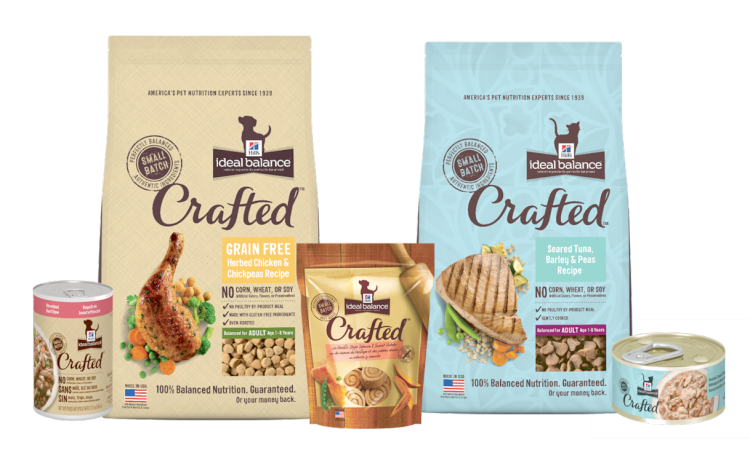 As a lover of all things creative, I was fascinated when Hill’s® came out with their Hill’s® Ideal Balance® Crafted line of dog food and cat food. 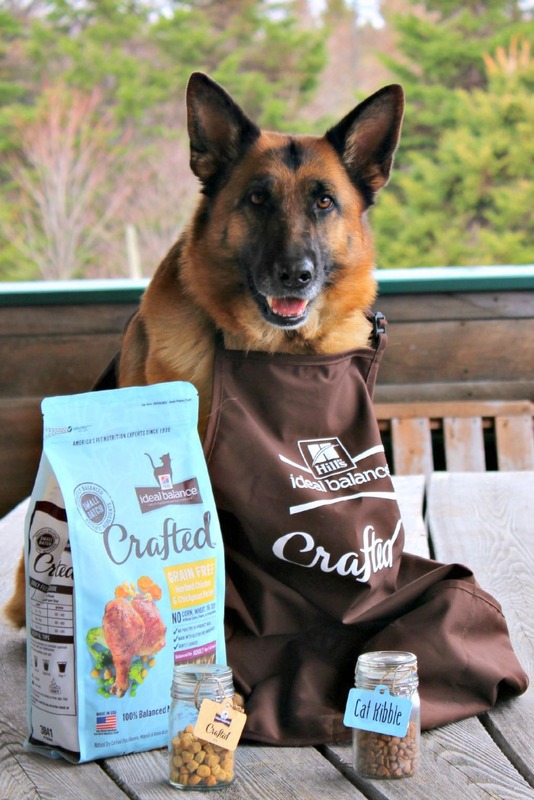 In the past I have made dog biscuits for my dogs but had never tried cooking meals for them unless you count the table scraps that they get as my cooking for them. It’s comforting to know that Hill’s takes the time to make my pets food the way I would. It’s artisan crafted in a small batch using ancient grains. To be totally honest, I have enough trouble getting a meal on the table each evening for the family, a quick breakfast, and packing lunches. Adding gourmet kitty and doggy meals to the list just isn’t going to happen no matter how much I love my little guys. It’s great to know that Hill’s® has my back on this. When the package from Hill’s® Ideal Balance® Crafted arrived Gemma was already to help. She, in fact, loves kitty food and we have to go to great security measures to keep her out of their stash. The aroma from that bag was driving her crazy. 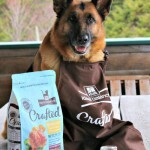 Thankfully there was a jar of Crafted dog kibble which she loved. Chuckles and CJ are a different story. They are the typical “fussy felines” and will love something one time and turn their little black noses up at it the next. 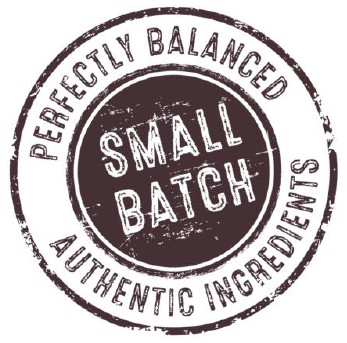 Amazingly they’ve been very consistent with their enthusiasm for Hill’s® Ideal Balance® Crafted. That’s very reassuring for me as in the past they only would eat a cheap brand of cat food from one of the big box stores, which made me feel guilty for feeding my cat boys kitty junk food. I have tried to get them to eat tuna out of the can…..no way! Canned cat food has been a no go also! But they have now found something they like. Checkout the picture below. Okay, so I tried to convince him it was homemade and he was doing fine dining at the kitchen table…LOL. He’s sniffing. He’s interested. 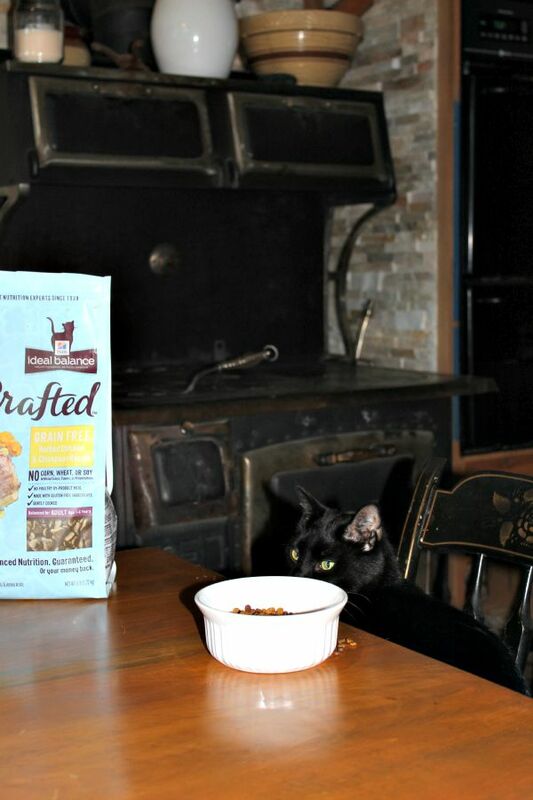 He bought in to the program totally and now he’s up on the table loving his new food – Hill’s® Ideal Balance® Crafted! CJ likes it too but he’s not into being photographed. He’s a short black furry Howard Hughes type, a real kitty recluse. 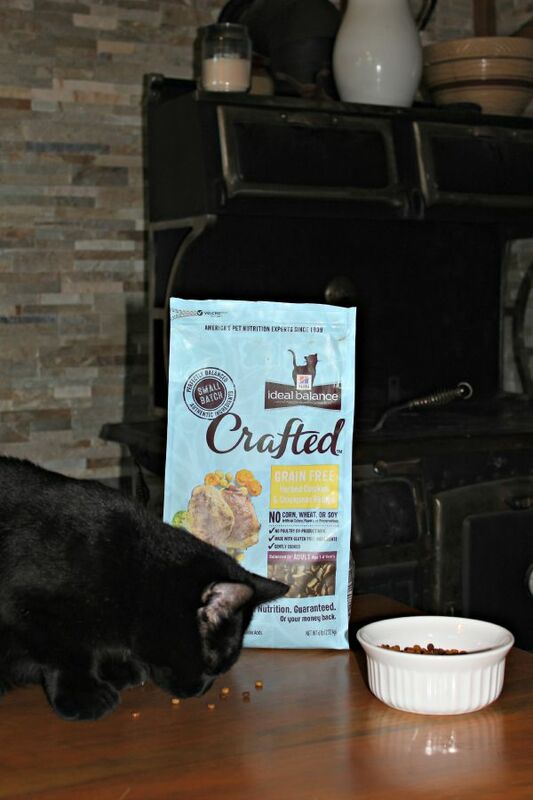 So if you’d like to see if your fur-babies would enjoy a gourmet, small batch of slow cooked cat food or oven roasted dog food, the folk’s at Hill’s® are offering a $7.00 off COUPON at this link. 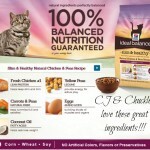 So here’s some video of Chuckles dining on his Hill’s® Ideal Balance® Crafted™. 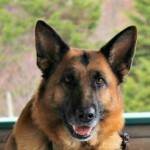 As you can see Chuckles is a handsome guy. Check out those huge paws. They’re a “Maine” thing – interesting bit of Maine trivia – Maine has a higher percentage of poldactyl (double pawed) cats than anywhere else in the world! Feeling #InspiredByCrafted to do something nice for your kitty – watch the video below and make your kitty a new cat tree!